Storage units provide the perfect place to stash items you don’t need at your home. However, they can quickly become a mess as you add more belongings over time. It’s important to keep your storage unit in order so you can find what you need and make sure everything is in great condition. Below, East “O” Street Self Storage in Lincoln, NE, shares some advice on how to keep your unit clean so you can enjoy your extra storage for as long as you need it. Most storage units don’t have any shelving. It’s a good idea to consider adding some organizational tools like bookshelves or cubbies so you can better store and locate your possessions. Once you’ve set up shelves in the space, use containers to corral similar items together. For example, keep seasonal items together; it’ll be handy when you want to grab your skis and notice a pair of ice skates you can use as well. Once an item is in your storage unit, it doesn’t mean you should forget about it. Make sure you’re noticing what belongings you don’t use, so you can donate to someone who will use them. That old pair of Rollerblades™ and the jacket that’s no longer trendy could be well-loved by someone else. Plus, when you donate belongings, you empty more room in your unit to store items you do want. 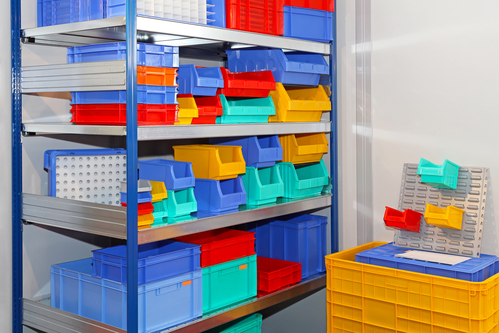 Make sure to use your organization system every time you add more items to your storage unit. By putting things on shelves and keeping them in labeled boxes, you will reduce the need to do a major clean out that takes a lot of time and effort. Keep your space clean as you go instead. By using shelving and organization methods and donating items you don’t want, your storage unit will no longer be a mess you avoid. You’ll also have a much easier time finding things when everything is in its correct place. To learn about storage unit options from East “O” Street Self Storage, call (402) 489-0124 today. Visit their website for information about their storage unit sizes, rates, and convenient temperature control.